Over the past few years one of the most exciting emerging technologies has been artificial intelligence. Almost overnight, thousands of enterprises began adopting analytics platforms into their technical infrastructure to breakdown their performance and generate insights. Yet many find it difficult to ascertain when its time to hire an artificial intelligence expert. An artificial intelligence expert can help your organization to incorporate an artificial intelligence solution. In the world of artificial intelligence there is no substitute for battle-tested expertise. A competent artificial intelligence expert will be able to monitor your data production and marshal it to create clear insights. In this article we break down how to tell if you’re ready to hire an artificial intelligence expert. What Does Artificial Intelligence and an Artificial Intelligence Expert do? Artificial intelligence is about providing you with data to help improve your internal decision-making with regards to processes, products and procedures. A data analytics solution allows you to build prediction models, affinity maps and conduct cluster analysis on your organization. In other words, it allows you to take a microscope to your company and identify areas of inefficiency. An artificial intelligence expert is tasked not just with maintaining these systems, but monitoring them to produce insights based on the data at hand. They can create programs that think independently with knowledge of coding languages like C++ and Java that are prevalent within artificial intelligence solutions. In short they deploy their specialist knowledge to help the company achieve its grand vision. If you need to use an artificial intelligence solution then nine times out of ten, you’ll need an artificial intelligence expert. An artificial intelligence expert can not only make it easier to integrate a new solution into your organization but can also reduce the risks raised by a new platform. Part of using an artificial intelligence solution is knowing how to aggregate data. If you don’t have a qualified member of staff to aggregate data then you will struggle to generate any kind of results. This is even truer if you’re deploying on a large scale. Though you may have technical staff who understand the fundamentals of managing IT infrastructure, artificial intelligence solutions are a different kettle of fish. You need someone who understands the fundamentals of data science if you are to achieve any kind of targeted results. One of the main reasons most companies use artificial intelligence solutions is because they want to generate insights. Hiring an artificial intelligence expert is essential if you want to develop quality insights into how to refine your business processes. An expert will have knowledge of what algorithms and tools can be used to introduce solutions to a variety of problems. If you’re relying on a non-specialist member of staff without knowledge of data science and machine learning, you’re going to struggle. 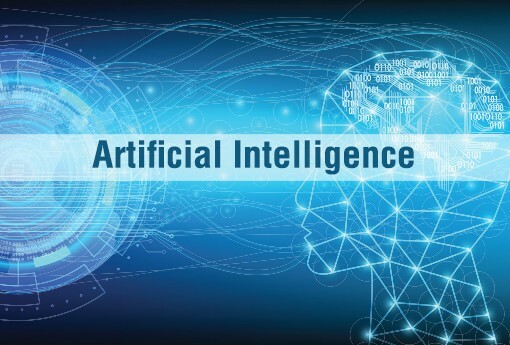 An artificial intelligence expert will have the knowledge and experience to be able to solve problems within your company and introduce a plan tailored to solving the minutiae of everyday problems. Hiring an artificial intelligence expert or a data scientist is an investment. Its important to make sure that you have enough data to warrant such an investment. If you’re in the initial stages of incorporating an analytics solution into your business, you’re unlikely to need to invest until your data requirements grow (unless you generate a significant amount of data from the beginning. Once you’re generating large amounts of data its time to hire an artificial intelligence expert or data scientist. They’ll be able to navigate their way through such a workload and find ways to optimize your internal processes. If you hire an expert too early you’re not going to be getting the best return on your investment although they will still have substantial expertise to offer you. Even though artificial intelligence experts are wizards, they can’t fix everything. As such, you need to have specific problems in mind before you make the decision to take onboard a new hire. If you don’t, then most of your expert’s time is going to be spent chasing around intangibles and potential problems rather than addressing a clear issue. Instead you should have an idea of what problems you want to solve before you hire an expert. For example if you want to increase your conversion rate you can collaborate with your artificial intelligence expert to find ways to make this happen. Giving them a specific goal allows them to produce more value than general, catch-all goals. If you match many of the common tells above then its time to hire an artificial intelligence expert. The most important thing to recognize is that even though artificial intelligence experts can be expensive, they are worth their weight in gold. The ability to develop consistent insights into improving your company’s processes is easily worth the cost of a recruitment cycle. Above all else try to avoid the mistake of encouraging non-qualified staff to do their own research and self-train to save money. You can only become fluent in the world of artificial intelligence and data science through direct experience. Book learning may help with some of the basics but it will not be enough to navigate complex algorithms on demand. Ultimately if you’re serious about deploying data-driven solutions to improve your company, then you’re ready to hire an artificial intelligence expert. When hiring make sure that you go with an artificial intelligence expert with experience. This way you can ensure that they have the technical expertise needed to hit the ground running. If you’d like to hire an artificial intelligence expert for your business search through our extensive database of tech talent here.